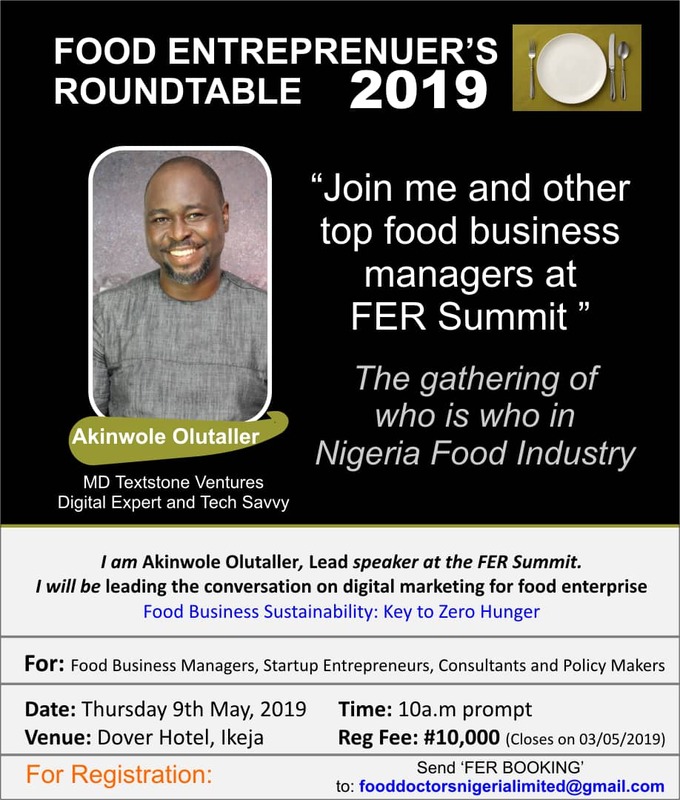 On the 9th of May, 2109. 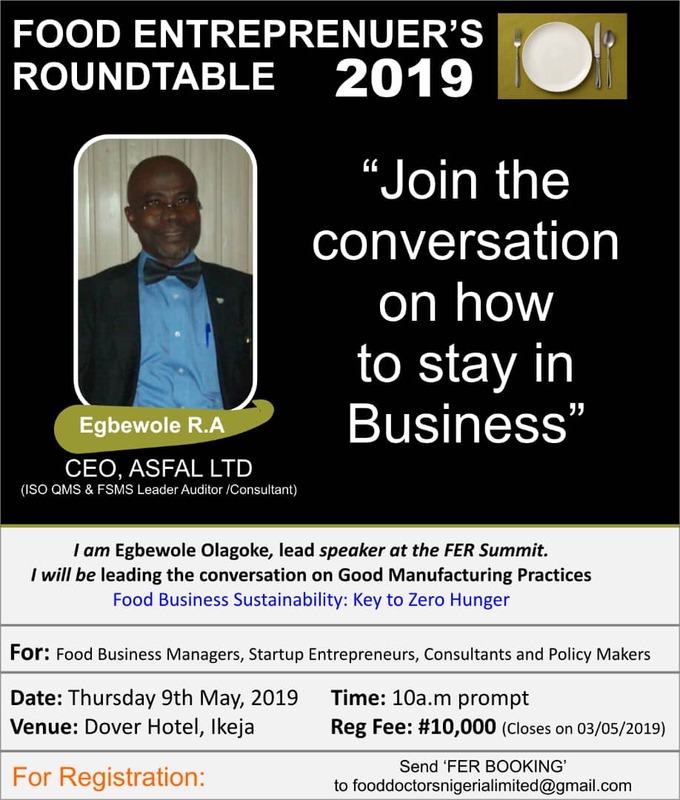 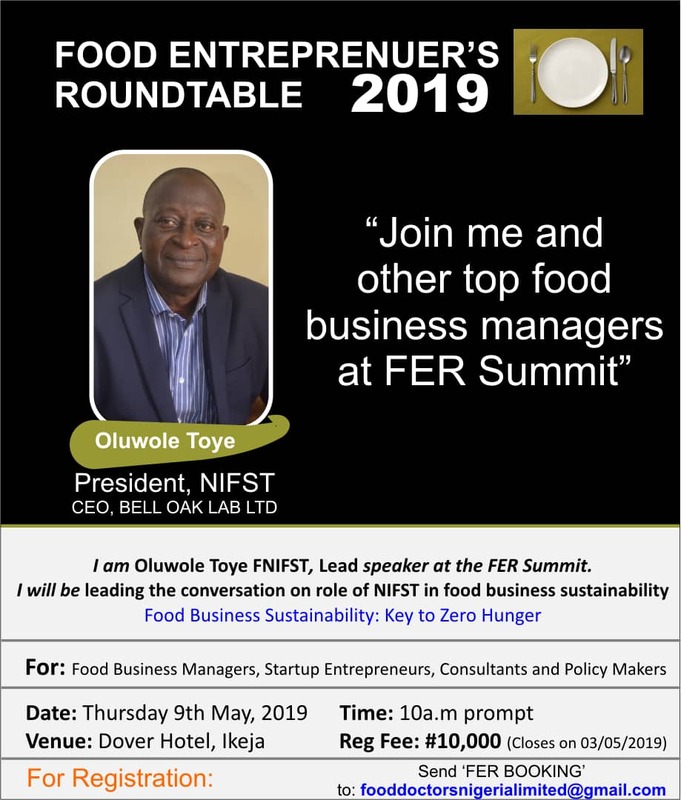 Nigeria Food Business Stakeholders will be having a round-table summit to discuss ‘Food Business Sustainability’ in Nigeria at The Dover Hotel, Ikeja. 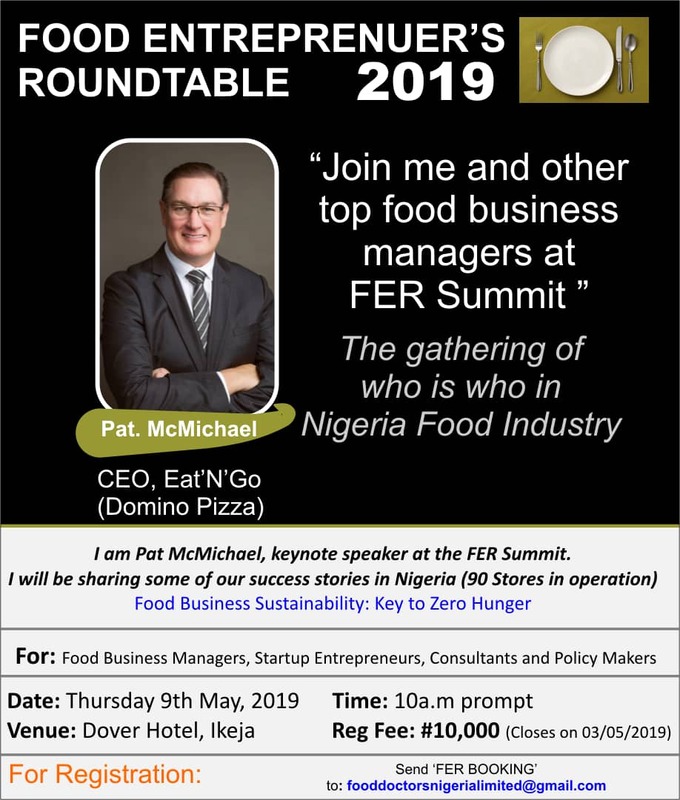 You too can be part of the conversation or build your network as a food professional.